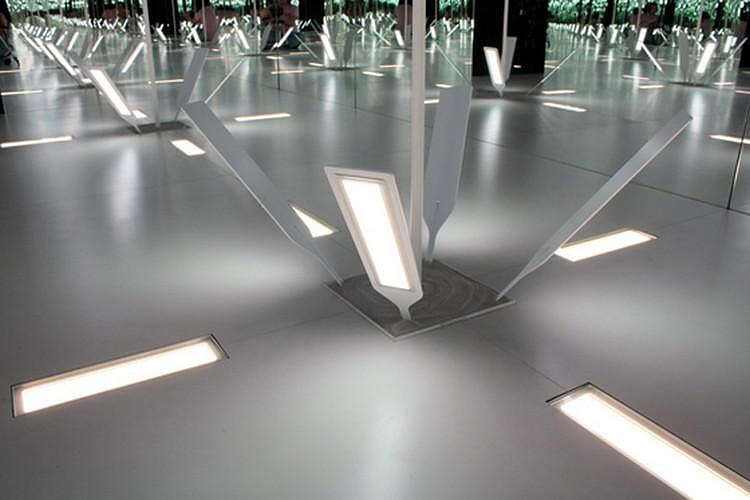 HomeBlogArtForest of Evolution: a light installation promoting OLED evolution. 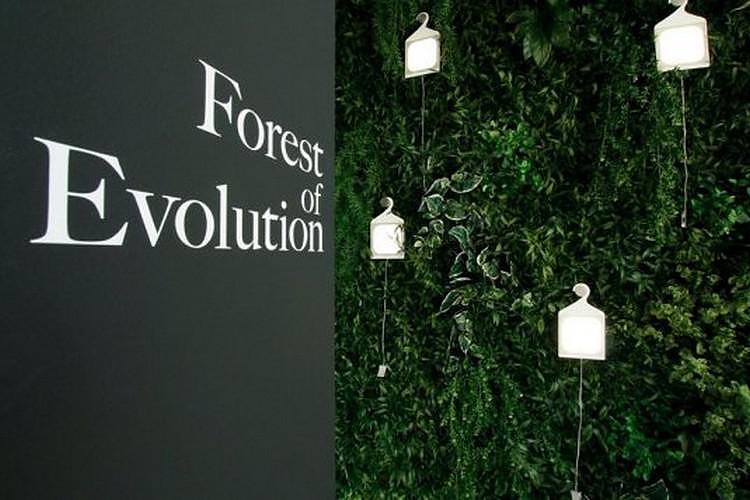 “ Forest of Evolution ” is the name of the light installation by artist Naohiko Mitsui presented at the Milan Design Week 2011. 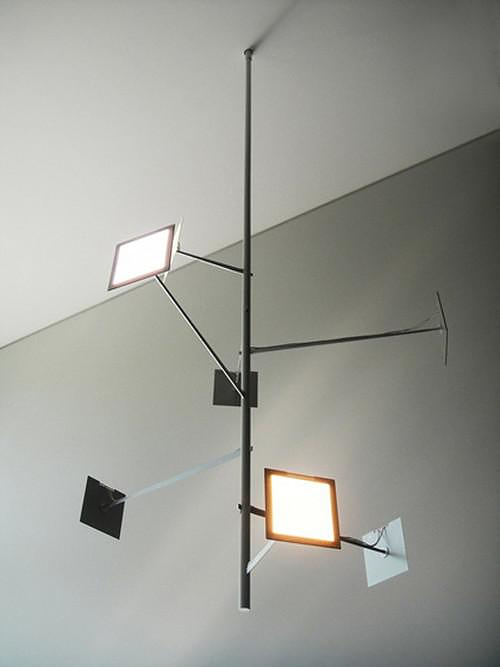 Mitsui collaborated with the Japanese OLED manufacturer Lumiotec to find a creative way to display its new OLED panels. OLED is the evolution of LED lights and their main feature is that they actually are luminous surfaces, rather than individual lighting units. 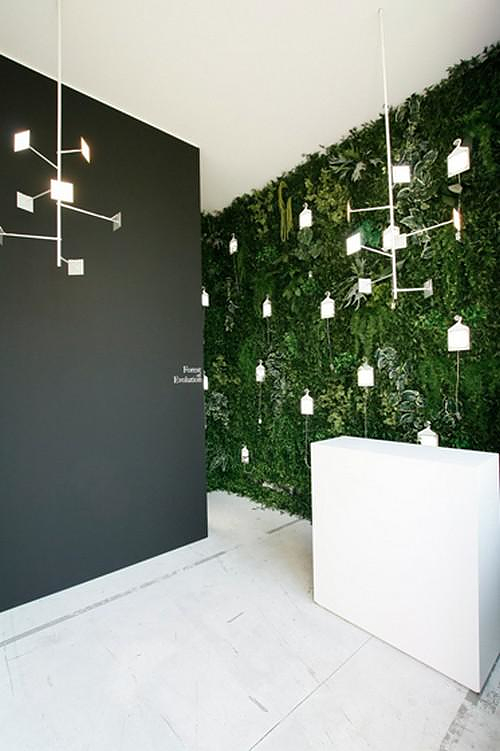 Naohiko Mitsui created an impressive transition from the exterior space to the interior where the installation was placed. 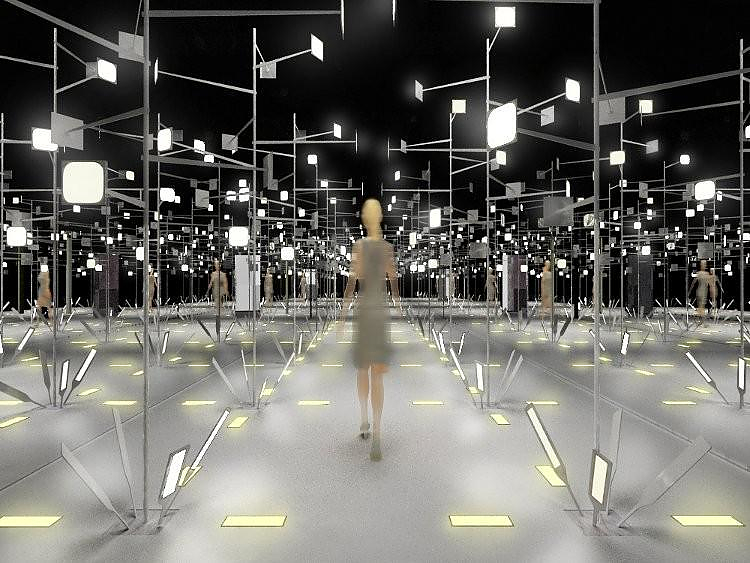 Three mini environments were staged to narrate the process of the creation of organic light-emitting diodes. The visitor had to walk through a generously green lobby-garden where natural lighting was abundant. 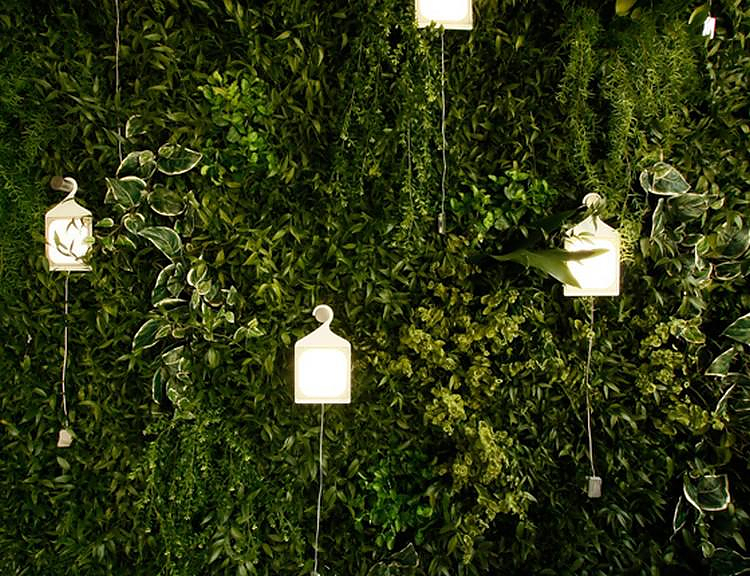 A small “natural” forest, an interpretation of a forest to be exact, consisting of both greenery and natural bird chirping sounds. By entering the house, one still notices the natural light consistency with the outside, as sunlight enters the large windows. 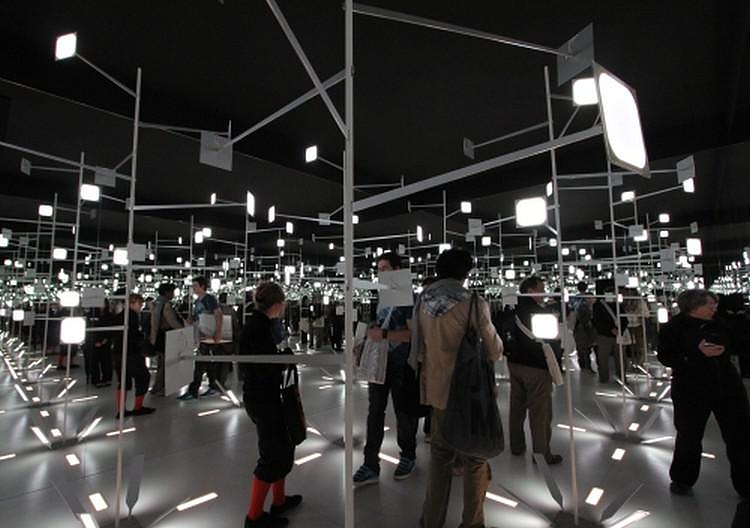 The entrance area was used as an informational point where one could learn more about the technology and manufacturing of individual OLED lighting panels. 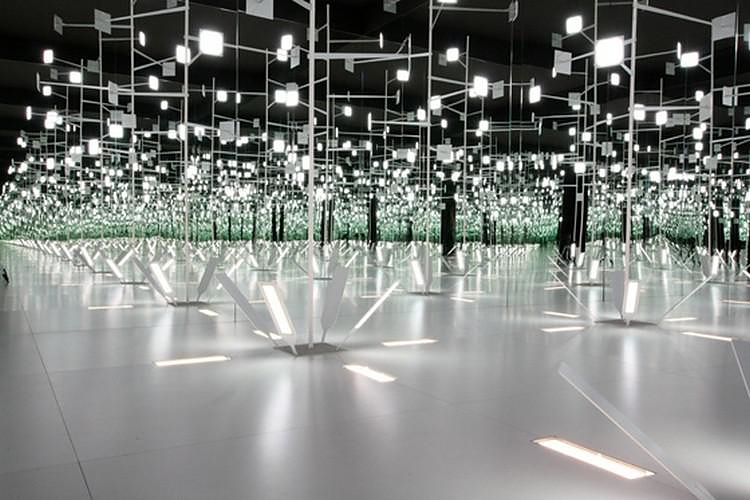 Just around the corner from the entrance, the visitor / viewer immerses into a mirror lined 24 square meters room reflecting OLED trees in a vast illusion of a forest. 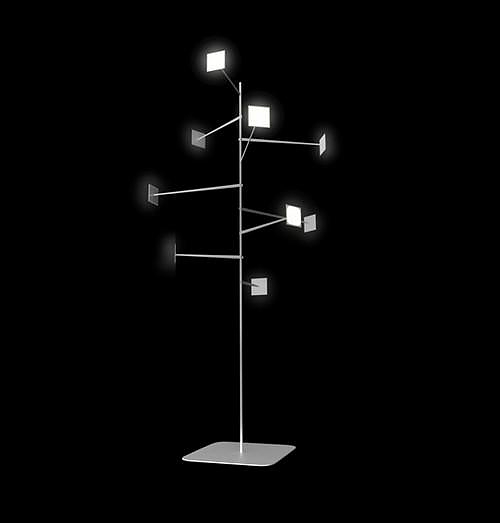 Each futuristic tree (called TLEE) featured nine OLED panels. The heart of the forest has also bird chirping sounds in order to enhance the experience. 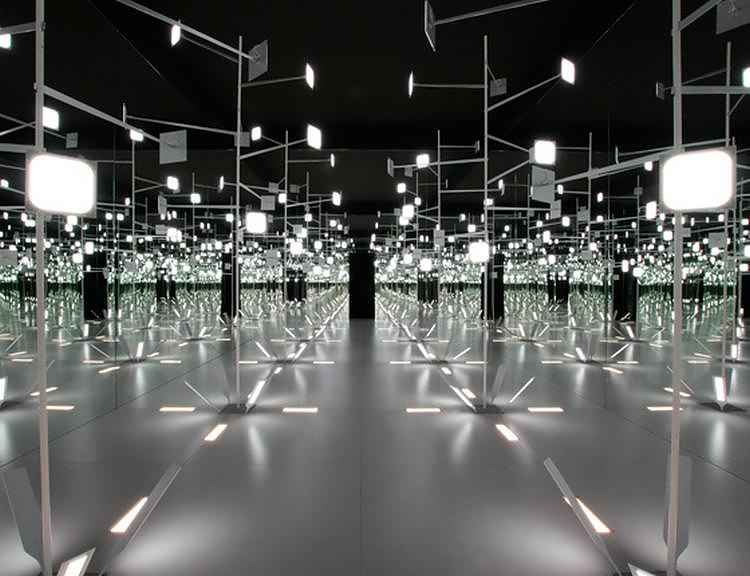 The black wall connecting the corridor and mirrors ensures that visitors are completely surrounded only by what is produced by Lumiotec’s OLED panels. The key point of the project was to impress the visitor with the optical smoothness of the transition from a naturally lightened environment to a completely artificial lightened one. 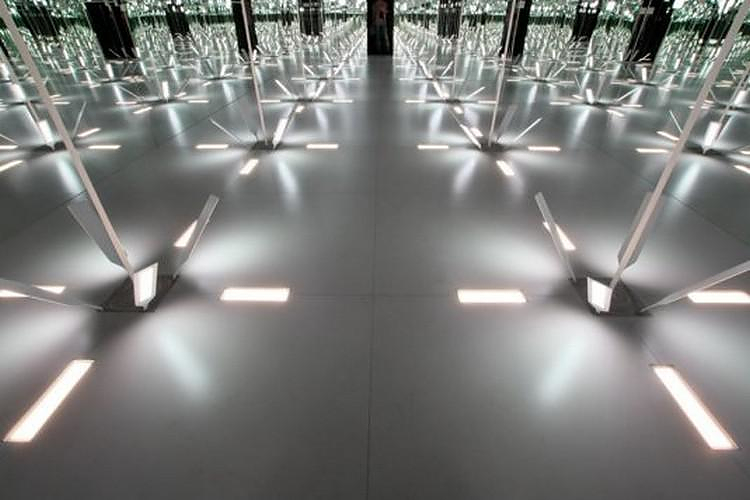 Besides the fact that the OLED technology’s ability to light the room is entirely artificial, synthetic, it has the feeling of naturally created light. 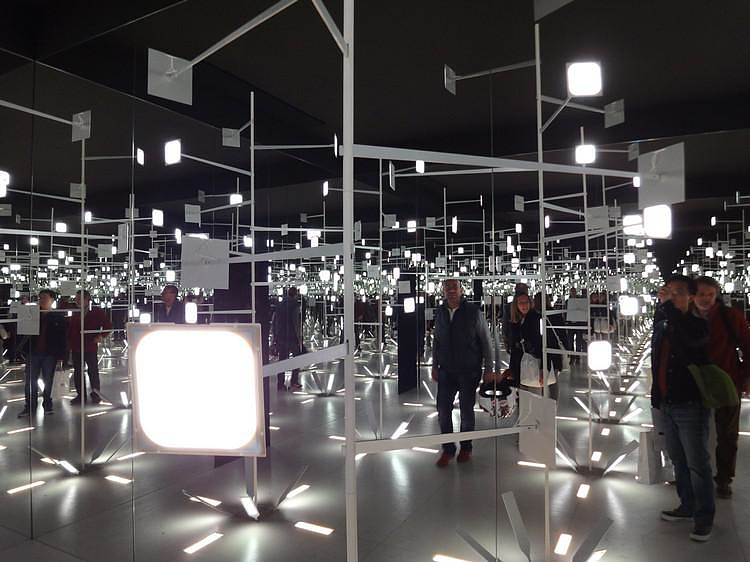 Mitsui takes the visitor for a walk from a natural environment to a completely artificial one and make him witness the quality of light produced by OLEDs. 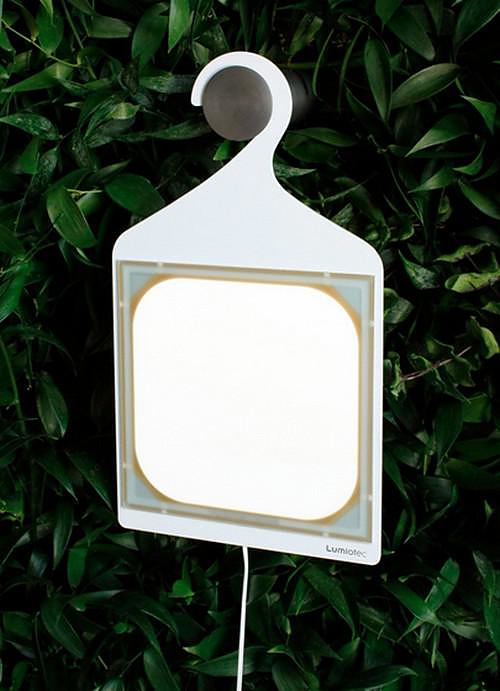 Each OLED unit is a small panel with organic layer under its glass surface that uses electricity to lighten. With a thickness of just 2.3 mm Lumiotec’s OLED panels cast light of a color temperature of 4,900K (also available in a 2,800K model). 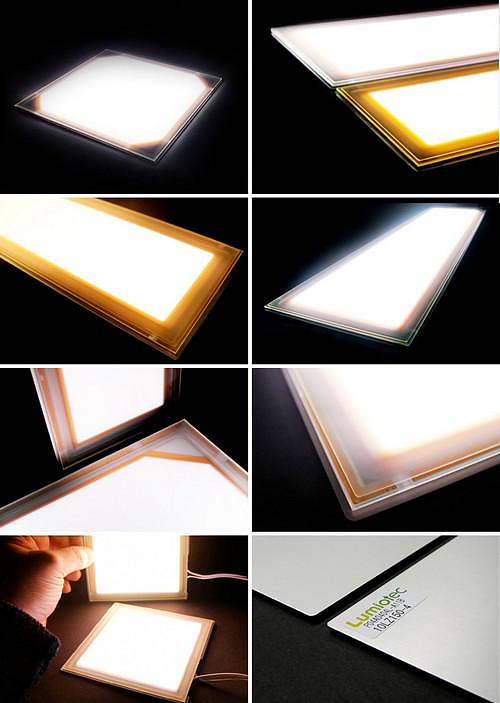 The emitting light is considered to show colors better than incandescent and fluorescent lamps, as the emitting rays avoid ultraviolet and infrared span. 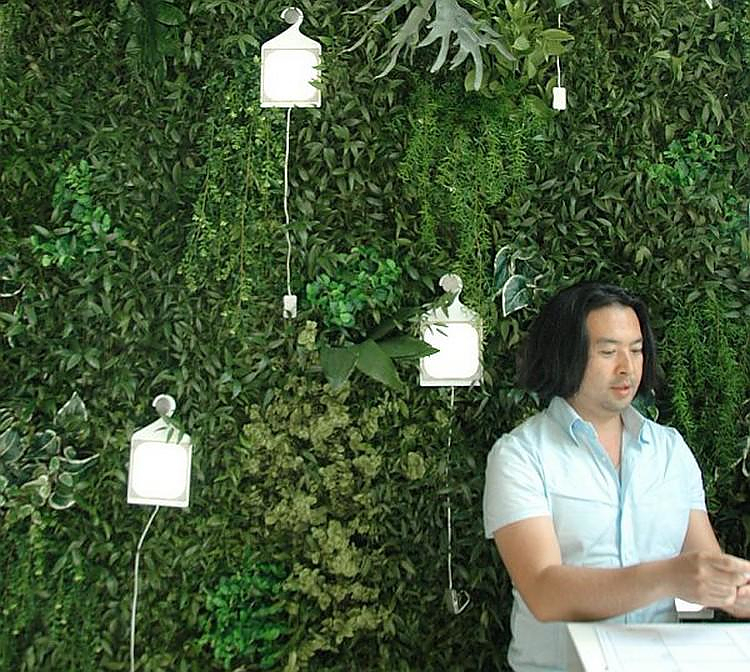 Naohiko Mitsui is a designer and president of Triumph design studio, based both in Tokyo and Milan. 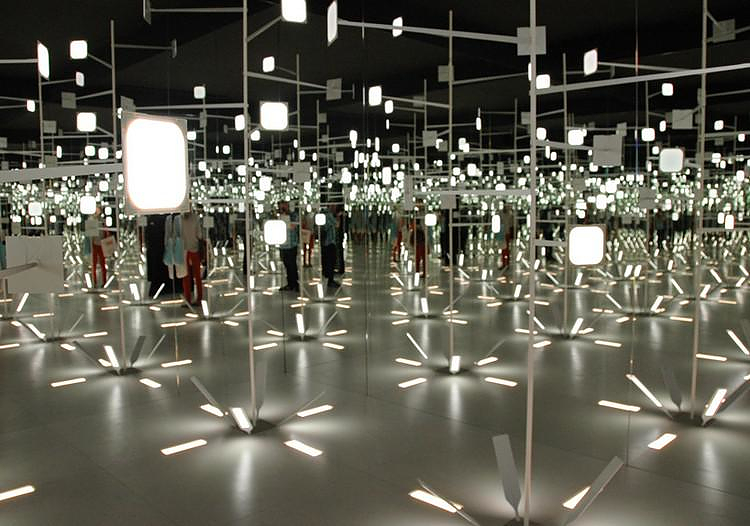 He has collaborated with Lumiotec creating several designs with OLED panels, and his installation “Forest of Evolution” was literally a highlight of the Milan Design Week (Salone de Mobile) in 2011.